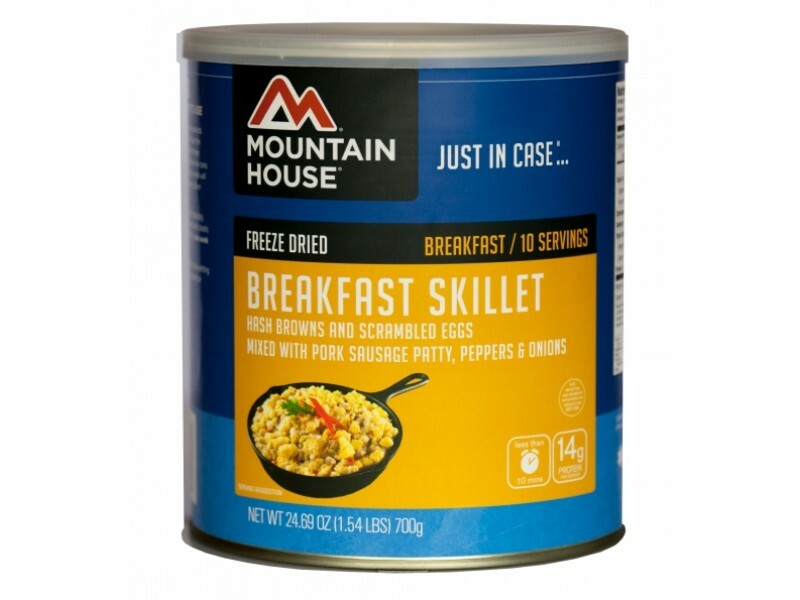 When you purchase this breakfast skillet from Mountain House, you’ll be able to enjoy the great taste of a breakfast skillet in almost any situation. In addition to tasting great, however, you’ll also be getting a wide range of different vitamins, minerals and other important nutrients to help ensure you have the strength to keep going. Each serving has 25% of your daily requirement of vitamin C, 15% of vitamin A, 10% calcium, 10% iron and an impressive 13 grams of protein. 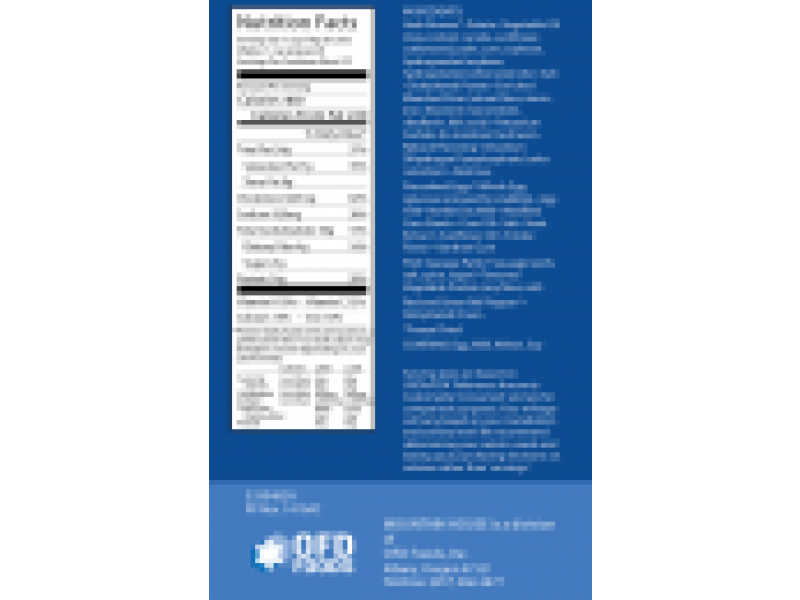 In addition, you’ll get 350 calories, which are very important when you’re in any type of emergency or disaster situation. Of course, you don’t have to save this skillet for an emergency. 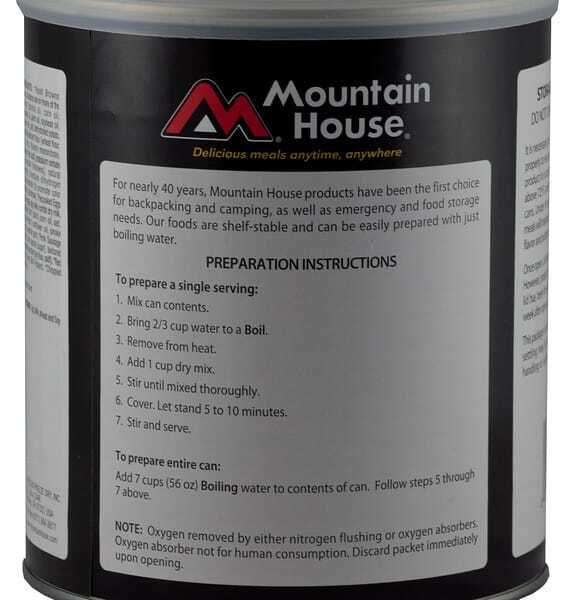 Many people will pack a can to go with them camping, hiking or on any type of trip, so they can have a great tasting breakfast without a big hassle. Simply add hot water according to the instructions, and within a few minutes you’ll be enjoying the great taste of a breakfast skillet. 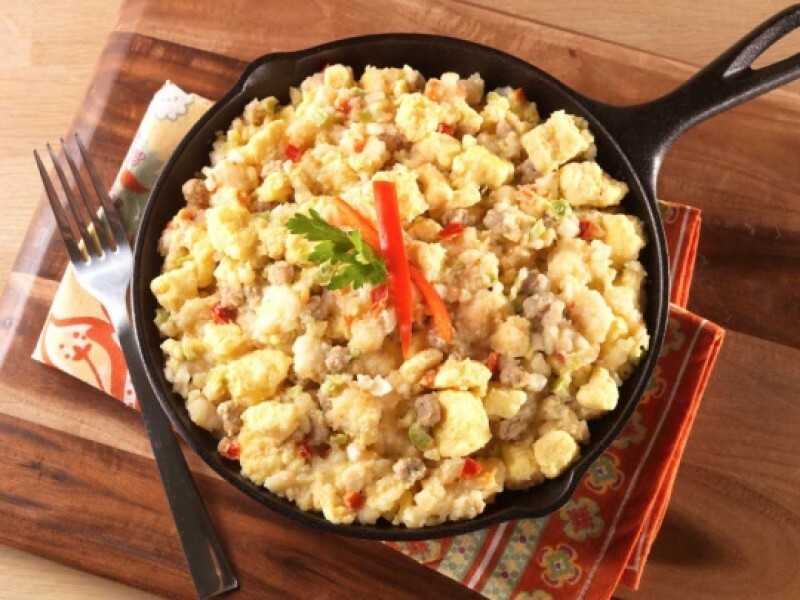 This skillet is made with hash browns and scrambled eggs, which are mixed with high quality pork sausage, peppers and onions. 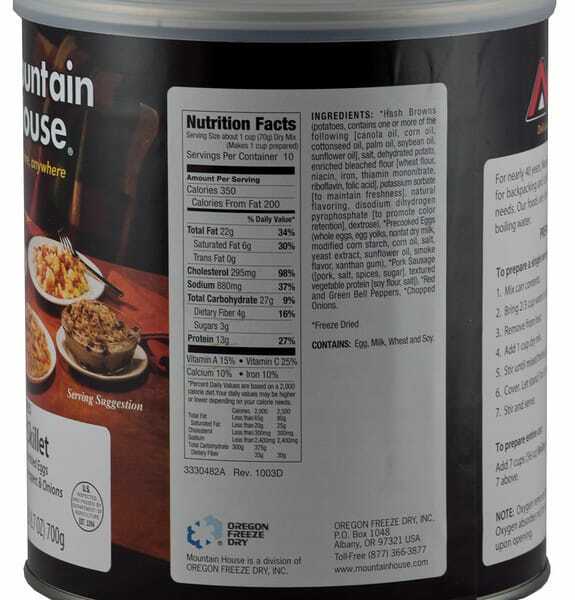 Once prepared, it is freeze dried to help ensure it will stay good throughout the entire 25 year shelf life. 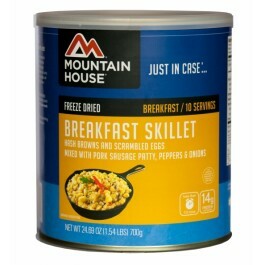 Whenever you’re ready to enjoy a nice breakfast skillet, just pop open this can and you’ll be eating in just minutes.